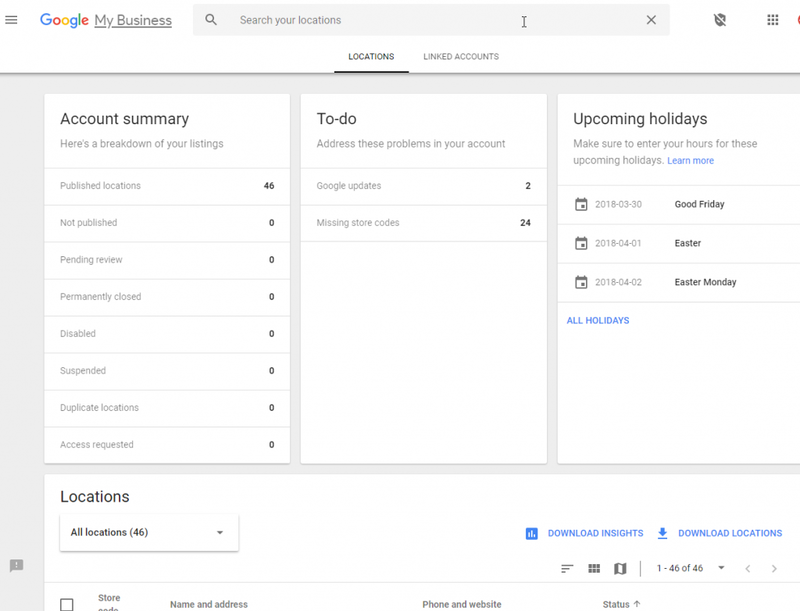 Google My Business just launched 2 new features in the GMB dashboard and just to keep us all on our toes, one only works in the new dashboard and the other only works on the GMB Classic dashboard ? Both these new features really only impact users that manage lots of locations. If you only manage 1 listing, you can just ignore these. Before I explain the new features, here is how to tell what dashboard you have. 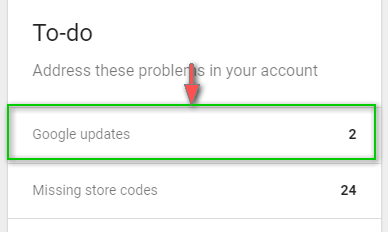 If you are still seeing the old dashboard, there isn’t a way to get the new version until Google adds it to your account. If you see this new view, you can still switch back to GMB Classic. If you have the new dashboard, you can still switch back to GMB Classic to view these. 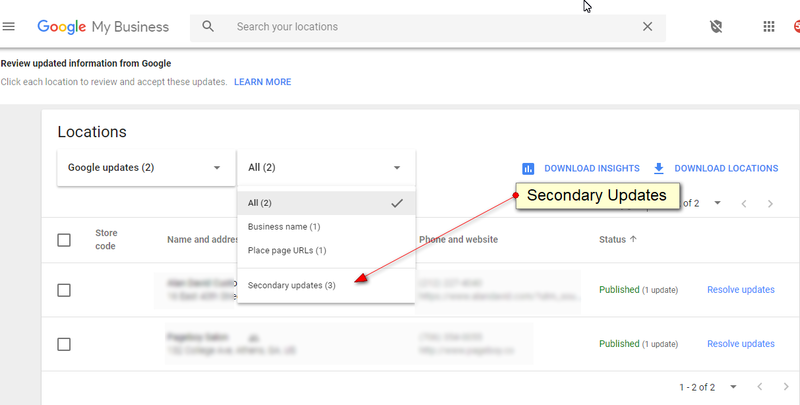 Google announced yesterday that they have now split the “updates” to your listing so that you can view the more important updates separately. Google has defined secondary updates as “non-sensitive” attributes that have been added when the listing owner has not added the value themselves. 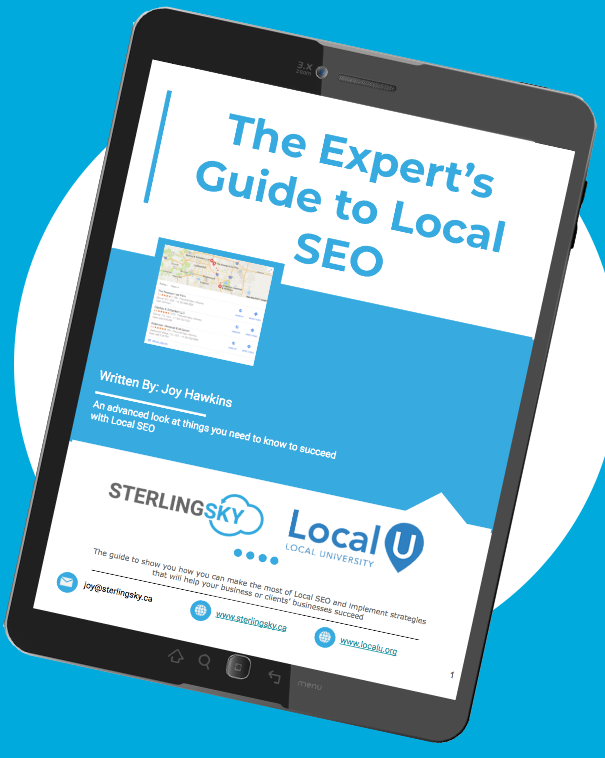 Google updates are features or information that are on your listing that are either added/changed by users using Google or Google themselves automatically updating the listing based on 3rd-party data. To see this in action, make sure you are using the Google My Business Classic dashboard and click the “Google Updates”. The list will now, by default, only show the updates Google has deemed important. To see the secondary updates, you can select them from the dropdown. A change to the name of a listing. A change to the menu URL on a listing. Google marking the listing as not led by a woman (attribute). Google adding that the business offers installation services and that it’s not cash-only (both attributes). Google adding that the business is not cash-only (attribute). This new feature will make it much easier for people who manage a lot of listings to separate the items that are more important to review. This feature is only in the New Google My Business Dashboard so if you don’t have that view yet, you just need to wait until you do. With this feature you can create a location group that groups together a bunch of locations that you can share easily. This is a much easier alternative to business accounts. Once you’ve created the group, select the businesses you want to add and click the actions button and select “Transfer locations”. This will add all those locations to a specific group. Once you’ve done that, you can select the group name from the drop-down and only see those locations. If you want to share these particular locations with several users all at once, select the gear icon beside the group name and you should have the option to add users to the entire group with just one click. [Comparison] Which Companies Offer Google Posts as a Service?